"Why Do All My Friends Sell Leggings?" I was one of those people who has annoyed by consumer direct marketing - aka those groups on Facebook you are being added to. However, I can also say that I was ignorant as to what prompted people to begin working for these companies and how great some of these products are. I did not realize how prominent these businesses were in the military community until I met my husband. Which led me to want to dig deeper into why these business are so popular in military communities, especially among spouses. For most those who decided to work for companies like Scentsy, Mary Kay, Lularoe etc. The idea of being able to have a steady job and income while moving around with the military was a major reason why they started. Also, they truly believe in the products they are selling. Beth Isely is an Army spouse who sold Mary Kay. "I like make up, it was a product that essentially sold itself since its been around forever. I used it as well and loved it." Unemployment and underemployment is a MAJOR issue for military spouses and their families. According the US Bureau of Labor Statistics, the unemployment rate for Active Duty military spouses is 18.8%. Meanwhile the unemployment for women over 20 in the United States is 4.4%. The positives of direct consumer companies is that you can move your job with you. You can still make a paycheck as soon as you move to your new post. 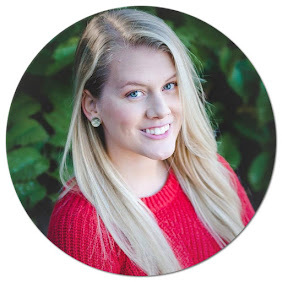 Army Spouse and Scentsy Consultant Alexis Green explains "I couldn't find a job here that would be enough to cover all the expenses. I was a medical assistant, assistant office manager, and I was bored. I have a good friend who sells it and figured I would give it a try. It was simple to sign up." Unlike applying for a job, most direct to consumer companies have you essentially invest in the company to become a salesperson (aka consultant, retailer, etc.) The on-boarding process and how much you need to financially invest depends on the company. For some of these companies it is thousands of dollars while some are only a hundred. You are usually sent samples of the product then work within the company guidelines to sell that product either online or in person. Isley explains, "You don't make money if you don't put in the work and dedication. You can work around your home life schedule that fits your house life, so you aren't using the 'paycheck' to pay for childcare like I would for a 9-5 full time job." 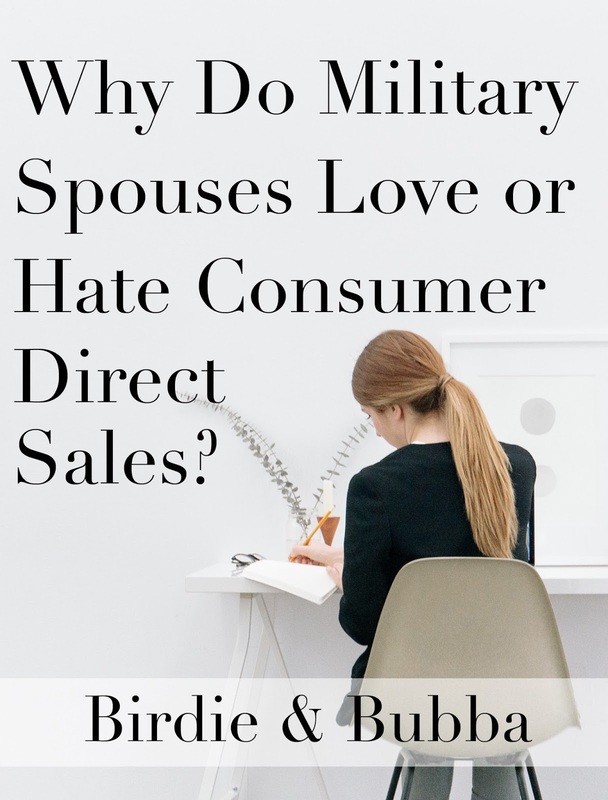 However, many military spouses do not like the idea of consumer sales and are annoyed by the seemingly endless sales pitches from their Facebook friends. Ellen McCarthy of The Washington Post wrote an article called, "Dear Facebook friends, please stop trying to sell me stuff. It's getting awkward." The article essentially describes what many of us see on our social media feeds. We will see posts of before and afters from Beachbody, new waxes from Scentsy and a message in our inbox from someone who wants us to "join their team". Army spouse Jennifer Kennedy is not a fan of these companies, "I haven't purchased anything cause it's a turn off when it is constantly thrown at you. I've found Facebook friends annoying when it's constantly in your notifications...my time line is cluttered and when you unjoin a 'group' they add you again." Multi Level Marketing companies are no stranger to controversy. The most recent being a scandal involving the popular clothing company Lularoe. Who has been accused of faulty merchandise and charging sales tax in states that do not have them. Herbalife suffered the biggest scandal to date back in 2013. The company was accused of only relying on recruiting distributors rather than selling their products. It was estimated that 99% of Herbalife distributors lost money instead of earning an income. Personally, I always thought to myself "How can a product direct to consumer be that good? Why couldn't they get into stores?" A couple of weeks ago, I spoke to my friend and fellow Army spouse Brittany Sutton about how amazing her skin looked lately. She said she had been turned on to the direct to consumer company Rodan and Fields by a coworker. The conversation was completely casual and in the end the products were perfect for her. Direct to consumer companies are not all bad. They do help people earn extra income and support their families which is needed in the military community with such high unemployment. I do not personally enjoy the bombardment of social media posts and messages but I admire the hustle. While I don't see myself working with companies like these anytime soon, I have worked in sales and I know that being successful and making a large profit is a true art.